California is home to the largest scientifically-based, stakeholder-driven network of marine protected areas (MPAs) in the nation, with 124 MPAs that span the coastline and include thousands of species of animals, algae, and plants within a wide diversity of habitats. 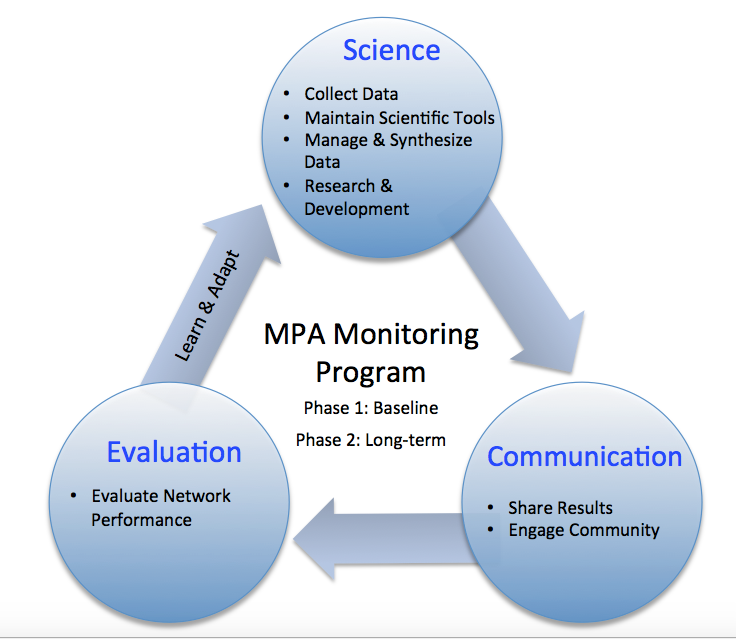 California’s MPA network was designed through a unique collaboration with stakeholders, managers, scientists, and policy experts to incorporate community input and meet the goals of the Marine Life Protection Act (link is external) (MLPA). The MPAs reduce or remove fishing pressure, and, where possible, were co-located with Areas of Special Biological Significance (link is external), which have higher water quality standards. The State is tasked with understanding the response of entire ecosystems, not just fished species, to this management action. 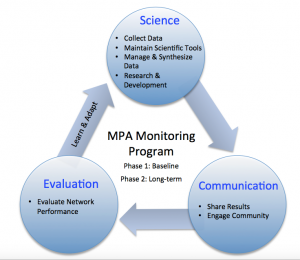 To provide information that will help inform adaptive management of the MPA Network, a novel and cost-effective Statewide MPA Monitoring Program was developed, as required by the MLPA. Phase 1 of this program collected regional baseline data at or near the time the MPAs were established. Phase 2 focuses on long-term statewide monitoring and will be guided by the Statewide MPA Monitoring Program Action Plan. BACK TO the Marine Protected Areas Homepage.